The entire travel industry is built on keeping people mobile. So an industry based on mobility should incorporate mobile technology. 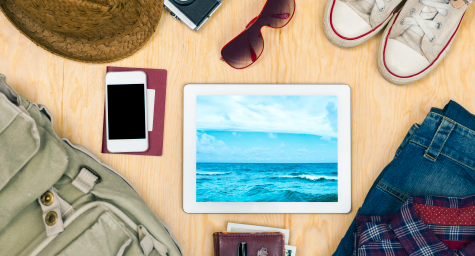 Now as more and more travel brands are moving into mobile, they’re seeing how mobile marketing is a powerful tool for travel conversion. Yet too many hospitality websites are just not mobile friendly and they’re missing out on the mileage that mobile marketing offers. To help travel brands get the most out of mobile, DigitalMarketing.com explored how some of the world’s most successful brands are moving ahead via mobile. Responsive web design strives to give visitors an optimal viewing experience from any mobile device. Travel is all about the experience and today that experience often begins via mobile. Having a user-friendly mobile website can ultimately make or break a sale. Yet surprisingly, not all hospitality brands have incorporated responsive web design into their mobile sites. According to an eConsultancy report on responsive website design among travel brands, only one of the top 11 UK airlines had adopted the mobile method. This was Thomas Cook Airlines, which saw a 30% increase in mobile conversion after moving to responsive design. And Travelocity increased its mobile booking upon switching to responsive web design. It’s a welcome change to websites and lets brands get more out of mobile. In our complex world, simplicity satisfies. This especially true in travel, which is often filled with headaches and hassles away from home. As a result, many travel brands are making their mobile sites simpler to use and getting simply sensational results. Southwest Airlines offers a no-frills, no-fuss mobile experience that users appear to appreciate. And Expedia’s new tablet app combines flight and hotel searches into a single, streamlined experience. Now other brands are following suit and making it simple to look and book on mobile. Since many people hesitate to spend for higher-priced travel, brands are trying to ease their doubts by making their lives easier. One example is Travelocity, which simplified the mobile experience by restructuring their iPhone app to capture credit card information. This saves people the time and effort of having to input that data. And JetBlue is adding boarding passes into Apple’s Passbook, with plans to do the same on Android. And hotels are getting in on this ease, such as Hyatt’s app that gives guests access to car rentals and Uber. It’s clear that giving travelers much more ease helps overcome their reservations when making travel reservations. Apps can make people’s lives easier, but it’s not so easy for brands to keep customers using their apps long-term. But the way to make apps appealing is by giving users app-only values like special offers, exclusive options, and services specific to apps. Major hospitality brands like Expedia and Travelocity have found that adding exclusives values makes travelers apt to stay with apps. Geo-targeting is hot among brands, but people are still warming up to it. Many feel uncomfortable sharing personal data. But travel brands are discovering that people shed their hesitance when offered greater value. The Expedia app uses geo-targeting to offer local recommendations based on the traveler’s interests. The app uses their time and location data to help them plan their trips. This service offers great convenience, so people are sharing their personal data in order to gain this value. Try these savvy hospitality marketing strategies and see how far mobile can take your brand. Discover strategies for successful hospitality marketing results. Contact MDG Advertising.